Elkhart Pressure Washing has worked hard since 2005 to keep Elkhart’s homes and businesses spotless. We believe that every house and commercial property deserves to enjoy the benefits of a crisp, clean looking exterior. 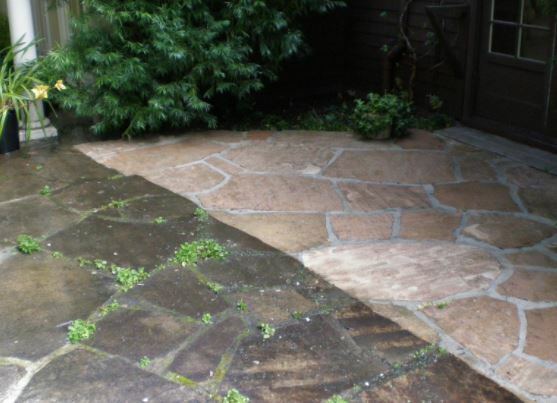 Our company specializes in pressure washing homes, businesses, roofs, decks, and concrete areas. Do you have stains on your roof, or has your deck lost its luster? Or maybe your driveway, sidewalk, or pool deck has seen better days. Let us tell you why we believe that Elkhart Pressure Washing can help you become the envy of the neighborhood. Some painting and handyman companies may add pressure washing as an additional service. We at Elkhart Pressure Washing believe in one thing: providing safe and effective cleaning through quality pressure washing. Our sole focus on pressure washing allows us to develop an expertise that simply cannot be matched by painters or handymen. We service bother residential and commercial buildings. We are able to safely power wash a variety of siding types including vinyl, brick, wood, stucco, fiber cement, and aluminum. Through our “soft wash” process, we confidently clean without the fear of causing unnecessary damage or intrusion of water into your home. We are experienced cleaners for apartment buildings, warehouses, and retail stores. Do you have a stained roof, dirty apartment complex, or dingy looking warehouse floor? 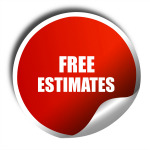 Call Elkhart Pressure Washing for a free estimate to help your business look and feel good again. Our services also include roof, deck, and concrete cleaning. We recommend contacting a professional cleaning company as pressure washing decks and roofs yourself may cause avoidable damage. Our trained technicians work to eliminate black algae that not only looks unsightly, but will reduce your roof’s ability to reflect UV light. We then apply a sealant to decks and concrete to enhance its look and provide additional protection against the elements. Our cleaning products are safe for both the environment and your building. We can eliminate stains to your deck’s coating, as well as any evidence of oxidation or graying. Our cleaners also remove dirt, grime, mold, and mildew without using harsh chemicals. Our technicians use rinse aids that cut down on unattractive window spots. We also apply a “wet wax” to vinyl siding that protects against mold, mildew, and fading caused by sun exposure. Does your home look dull and uninviting? Is your dirty office or warehouse in danger of affecting your workers’ health and safety? Not only will pressure washing improve the look of your house or business, but it will also help in preventing further deterioration caused by harmful UV rays, moisture, and freezing temperatures.